Will Martha Stewart be able to make lemonade from lemons in her recent legal battle? Will she cook up creative ways to recycle her lawsuit into an elegant business solution? Like explaining how to remove garlic peels with ease during a recent Wait Wait Don’t Tell Me program, can she come up with graceful solution to her lawsuit? What will she say about mediation after she emerges? Will her attorney hire a trained and experienced mediator who will allow her creative juices to flow? Judge Jeffery K. Oing took 3 weeks of testimony in the case before a creative light went on in his head, and he ordered Martha Stewart to mediation in her controversy with Macy’s. Macy’s brought an action against J.C. Penney and Martha Stewart Living Omnimedia regarding J.C. Penney’s sale of Martha’s bedding, bath and kitchen items. Macy’s claims exclusive contract rights to sell Martha’s products, and that Martha’s sale of those products to J.C. Penney’s violates that contract. Not so fast, says Martha, claiming nothing prevents her from selling her products in her own store and the Penney products will be sold at “a store within a store.” Sounds like a creative legal argument. According to the New York Times, “the Martha” wanted to mediate earlier, but Macy’s previously refused. Now the court has ordered mediation, and the parties have until April 8, 2013 to resolve the case. So what will mediation produce? Consider the personalities involved. I don’t know Martha’s attorney or the other parties involved, but Martha has been studied. Sociologist Magalene Harris Taylor, author of “Martha Stewart as a Sociological Phenomenon” finds Martha’s success is due to her ability to embody contradictions. She is committed to home and family, but her business sense and ambition are highly feminist. She originates from a white middle class background, but appreciates different ethnic and cultural lifestyles. She loves recycling ordinary household items into items that are both functional and attractive. In a time when housework has become steadily devalued, she has taken a symbol of women’s subjugation, housework, and made it profitable. In a newsletter citing Taylor’s article, Martha’s success is described as “a combination of contradictory ingredients: mix equal parts male assertiveness and female sensitivity, add a dash of white privilege, a cup of multicultural consciousness, and simmer in front of a live audience.” So, will she bring all these qualities to the mediation table? The parties have until April 8 to resolve the case. Surely they will hire a trained, qualified and experienced female mediator who can relate to Martha, a mediator who works and maintains a mediation practice, a home and a family. 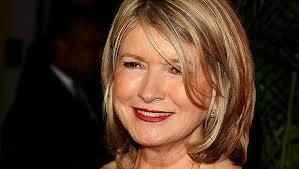 And certainly Martha will use her assertiveness and sensitivity to brainstorm solutions with Macy’s. Will she forge a new and profitable business solution? Maybe she will orchestrate the merger of J.C. Penney’s (currently moving to jcp) and Macy’s – into “The Martha’s.” Stay tuned. This entry was posted in law, mediation, Negotiation, Settlement, Uncategorized and tagged assertive, feminist, J.C. Penney's, Macy's, Martha Stewart, sociologist, University of Arkansas. Bookmark the permalink.